Appreciation for the resources of the Indian River Lagoon. Support a vibrant local economy. Appreciation for the balance between community needs and the natural beauty of the region. Maintaining strong partnerships with other community advocacy groups having similar interests. Established in 2000 as the Indian River Lagoon Scenic Highway. National Scenic Byway designation in 2001. Community advocates representing Indian River, Brevard, and Volusia Counties. Significant success in partnering with the region’s local communities. Our mission is to encourage visitors to experience the byway’s unique natural, historic and cultural resources. The history of the Indian River Lagoon National Scenic Byway (IRLNSB) spans thousands of years and embodies people’s respect for the inherent beauty of this area. The byway offers travelers an opportunity to witness pristine, fragile ecosystems and glimpses of Florida’s past, along with visions for the future through space exploration. This area was first known by native Ais Indians, then visited by Spanish explorers and even English pirates. As development advanced the strength of this country, Henry Flagler’s railroad afforded early homesteaders the opportunity to continue the exploration of the land’s intrinsic resources. Today, that exploration turns towards space at Kennedy Space Center and the NASA Space Program. In April of 1999, 36 active community supporters representing Brevard and Indian River Counties, eight municipalities, the St John’s River Water Management District, the Florida Inland Navigation District and multiple community organizations came together to discuss the importance and beauty of the Indian River Lagoon. In 2001, the Coalition obtained designation as a National Scenic Byway, one of six nationally recognized Byways in the State. Recently, the Indian River Lagoon National Scenic Byway Coalition celebrated its 15-year anniversary as an advocate for the Lagoon and its surrounding resources. 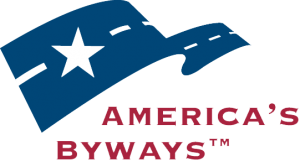 In addition to its success in funding projects, the Coalition is now a federally recognized 501(c)3 organization with a corridor web site, high-quality marketing materials that promote the unique resources of this 233-mile byway, and a dedicated membership base. The Coalition remains devoted to the mission of the Florida Scenic Highways Program of preserving, protecting and enhancing the intrinsic resources of the region through community-based partnerships to promote economic prosperity through the enjoyment of its resources. For more information on the Indian River Lagoon National Scenic Byway or to get involved, please contact our IRLNSB President, Tim Ford at 321-567-3860 or email us at info@indianriverlagoonbyway.com.